The latest collaboration bet-ween builder Robertson and Caine and designers Morrelli & Melvin has upped the high standards set by the rest of the Leopard fleet. 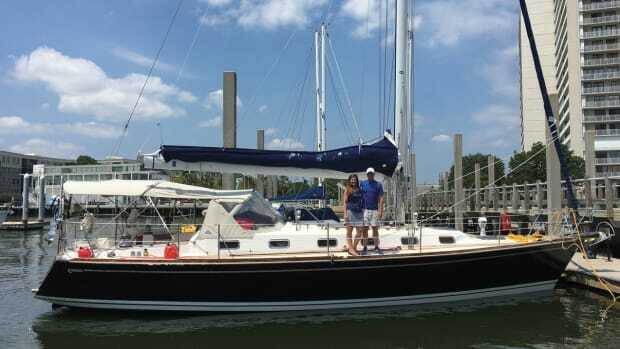 This new 44-footer should be popular with private owners. 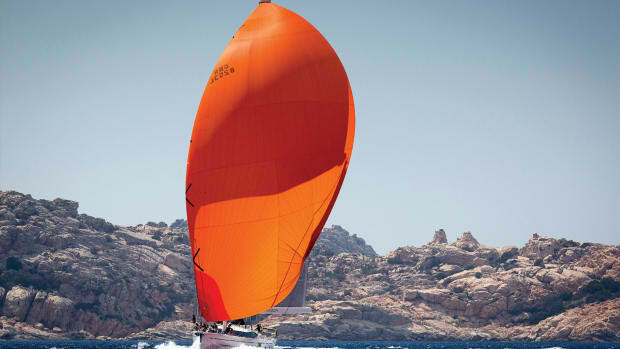 I suspect it will be equally popular with charterers as the Sunsail 444. 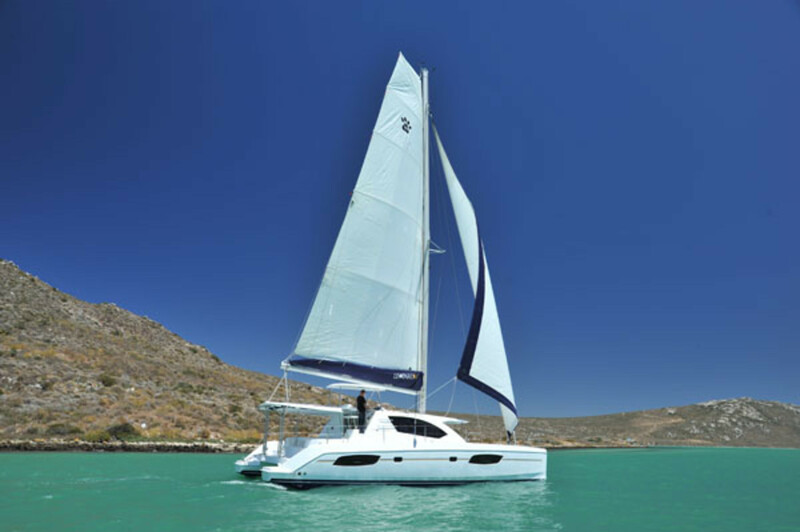 The Leopard 44 is built on an industrial scale, with each boat moving along an assembly line at the company’s large plant in Cape Town, South Africa. On a visit to the factory a few years ago, I was impressed with not only Robertson and Caine’s build process, but the end result as well. A fiberglass liner, comprising the interior floors and much of the furniture, is securely bonded to the hull, which is vacuum-bagged E-glass over a balsa core, before the deck is installed. The company uses isophthalic gelcoat to impede osmotic blistering. The topsides are flared just above the waterline to increase the interior volume. The company pays special attention to keeping the interior quiet. There’s good insulation between the cabins and engine compartments, and even the air conditioning units are enclosed in sound insulation. The lower portion of each bow includes a crash box behind a watertight bulkhead. 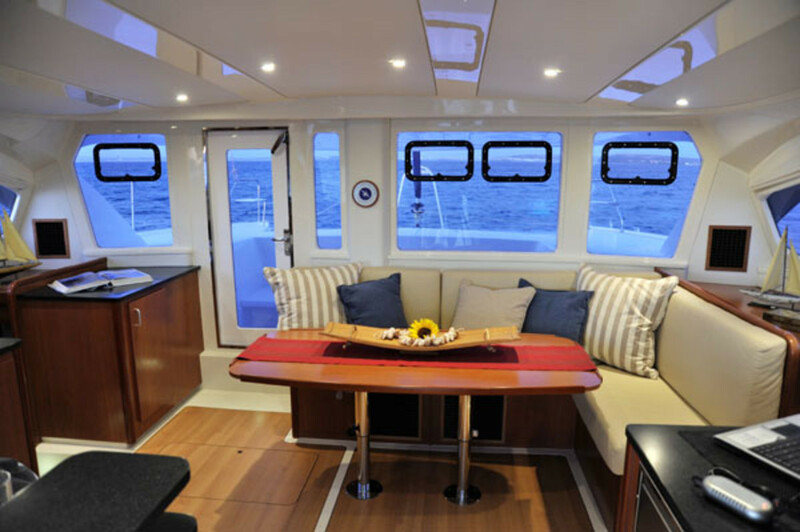 There’s plenty of room topsides for a large crew on the Leopard 44. The bridgedeck extends well forward between the hulls, but there’s still lots of space for stretching out on the boat’s full-span trampoline. Access to the stowage space in the forepeak of each bow is through either a large Lewmar hatch in the deck or through doors in the forward cabins. A pair of deck lockers flanks the 44’s most unique feature, a forward cockpit—a first for the Leopard line. Set into a well in the bridgedeck, the cockpit has room for two to stretch out on an L-shaped settee, or for four to comfortably dine at a fold-down table. The solid hardtop overhead flows in one smooth line into the cabintop, which extends in turn over the aft cockpit. Curtains drop down around both cockpits to keep things comfortable when the weather deteriorates. Moving aft, the side decks are narrow but adequate, and I felt secure walking between the high house and lifelines. The main cockpit features seating aft and along the port side. There’s room for eight to eat in comfort at the dinette and, again, plenty of lounging space. The rolled seatback aft hinges both fore and aft so you can sit facing either way. Forward to starboard a set of steps takes you to a snug steering station, where there’s just enough room for two on the seat and a clear 360-degree view. 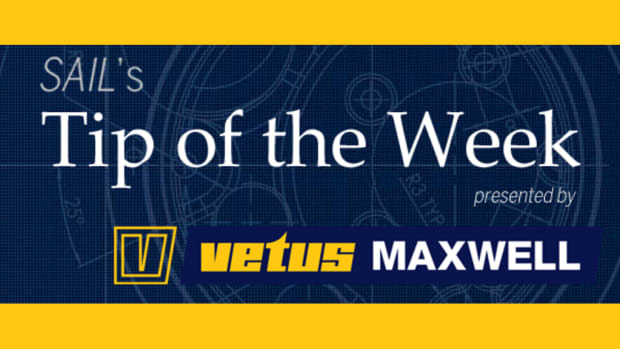 All the halyards and sheets are led to the helm through Spinlock rope clutches to three Lewmar winches. The helm console has plenty of space to mount sailing instruments and a large chartplotter screen. A pair of hinged stainless steel davit arms sprout from the deck between the hulls aft. When lowered via a pair of winches enclosed in the cockpit ceiling, the davits extend well out from the boat to keep the dinghy clear. When they’re raised, there’s a clear view aft underneath the dinghy. 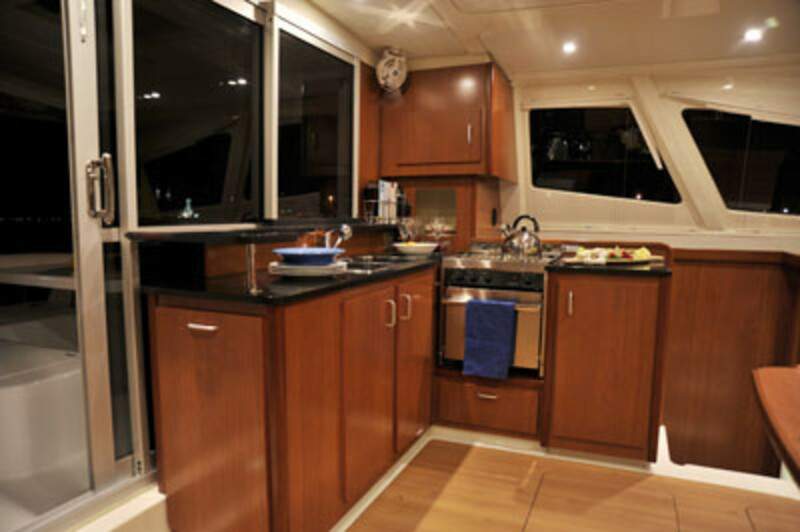 An L-shaped galley takes up the aft port corner of the saloon, affording the chef an excellent all-round view. More counter space is available forward of the port companionway, and there are a few cubic feet of additional storage space beneath the sole as well. The electrical panel and a small nav desk and are located in the starboard aft corner of the saloon. Forward and to starboard is a comfortable L-shaped dinette with seating for five or six. The interior woodwork is all low-maintenance cherry laminate. The sole is maple laminate. 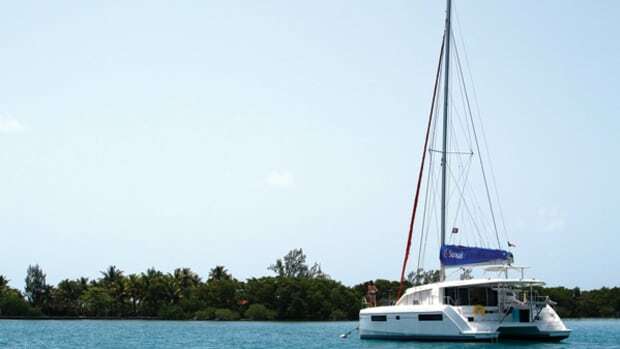 The test boat featured the three-cabin layout, in which the entire starboard hull is given over to the owners’ accommodations, with a queen-size berth aft. Moving forward, there is also a convenient hanging locker outboard near the end of the berth and a small study by the companionway. This study consists of a settee, a good-size desk and a chair, above which are lockers for important documents and flags. Forward of the study is another large hanging locker and the head. Outboard is a large locker designed to house a washer/dryer unit. In the port hull there is a good-sized head and shower a few steps down the companionway that can be accessed from both the forward and aft cabin. Forward is a full-width queen-size berth. The foot is forward, but it’s well aft of the bow and is not too narrow. 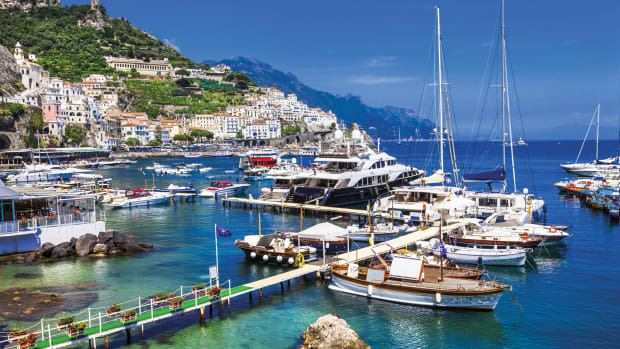 Aft is another queen-size berth as large as the berth in the owner’s cabin. The port hull is identical in both the three- and four-cabin layouts. In the four-cabin layout, the arrangement in the starboard hull mirrors the one to port. All cabins have plenty of shelf space with good light and ventilation provided by overhead hatches and ports in the topsides. A large watertight door in the saloon leads to a forward cockpit and provides plenty of cross ventilation when open. In 12 knots of wind on Miami’s Biscayne Bay, the Leopard 44 made 7.5 knots flying a square-top main and 120 percent genoa at an apparent wind angle of 65 degrees. 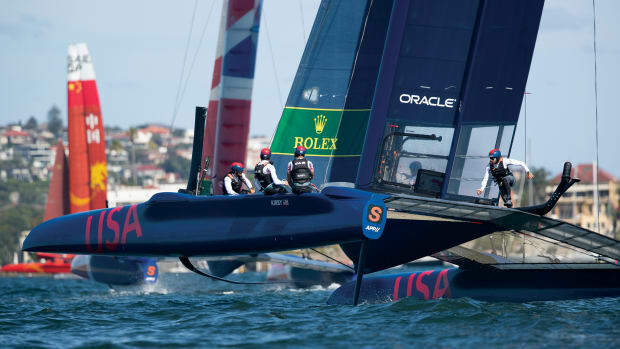 The boat tacked easily and got back up to speed quickly. 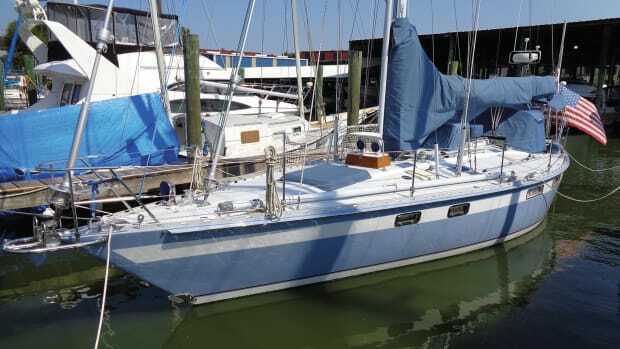 The Leopard 44 is similar to the Leopard 46, on which I’ve sailed several thousand miles, so my guess is this sleek cat will handle a seaway well, too. There was no traveler on the test boat, so it was difficult to get the necessary leech tension in the main. This minor problem would be fixed on future boats. Our test boat came with two optional 39hp Yanmar diesel engines with sail drives, which pushed the boat at 8 knots running at 2,800 rpm. The standard engines are rated at 30hp.  When we returned to the dock, our captain demonstrated just how maneuverable this cat is with a no-fuss, 180-degree turn in not much more than 50 feet. Access to the engine rooms is through a pair of large Lewmar hatches. There’s room to crouch inside and every part of the engines can be easily reached. Each engine room has plenty of room for storing spares and fluids as well. The forward cockpit makes this boat shine. It’s there purely for pleasure, and all sail-handling is taken care of elsewhere. The rest of the boat is pretty stellar, too. 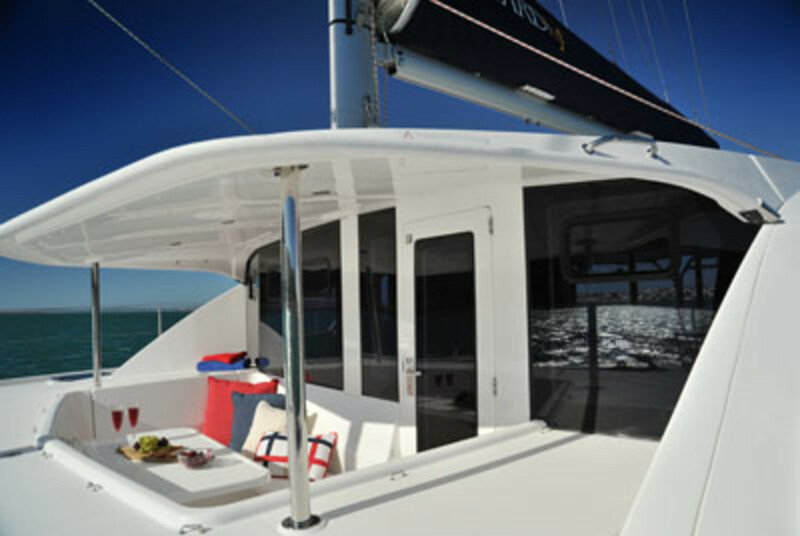 From the good working galley to the uncomplicated comfortable layout on deck and below, this fast-sailing cat is certain to please its owners and guests.